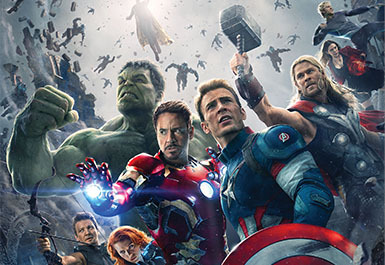 Experience the largest Marvel exhibition ever presented, only showing at GOMA in Brisbane. 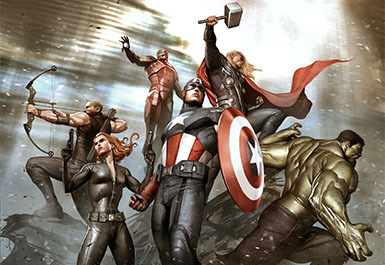 Follow Thor, Iron Man, Captain America, Hulk, Black Widow, Hawkeye and their allies and adversaries from the pages of Marvel Comics to their big-screen incarnations. 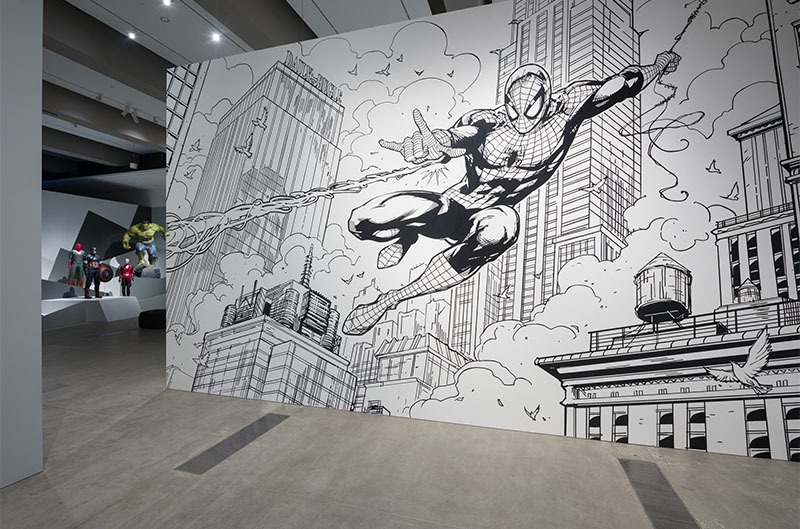 Drawing on Marvel's extensive archive of original comic books, spectacular concept art, props and costumes, as well as private collections, the exhibition features over 500 unique objects including Thor's hammer, Iron Man's suit of armour, Captain America's shield, and never-before-seen set pieces from the highly anticipated Thor: Ragnarok 2017, including the majestic Asgardian throne room. This QAGOMA-curated exhibition also goes behind the scenes to offer a glimpse into the work of production designers, storyboarding and pre-visualisation artists, costume and prop designers, and visual effects artists. 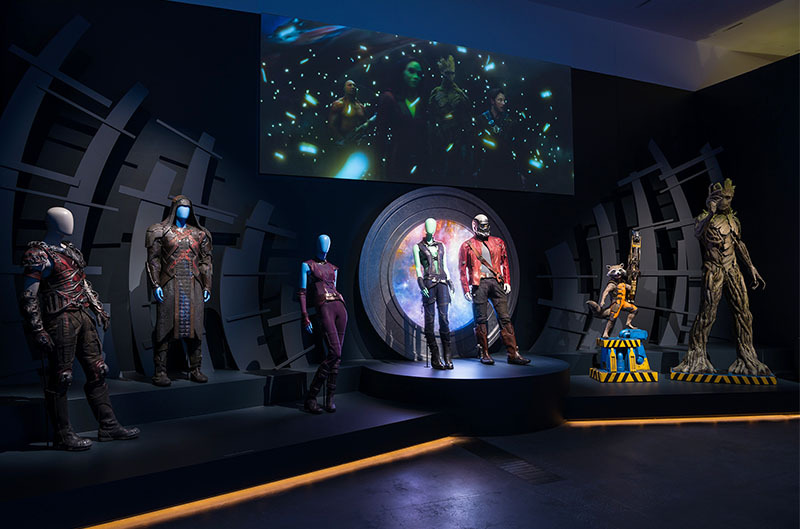 Interactive elements throughout the exhibition allow visitors to delve even further into the Marvel Cinematic Universe. 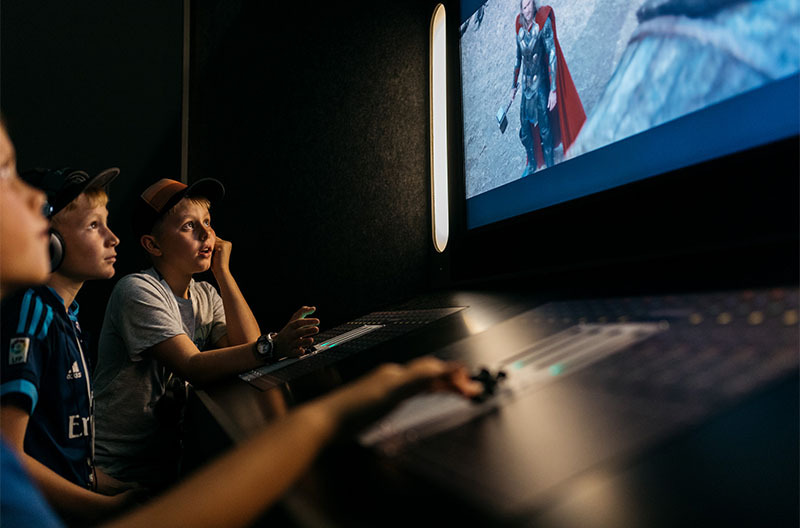 Throughout the exhibition, the Australian Cinémathèque will screen all the Marvel Cinematic Universe films, from the breakthrough Iron Man (2008) to this year's Spider-Man: Homecoming. 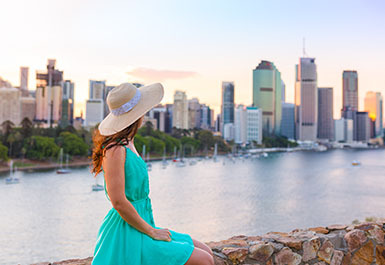 The exhibition will be open until 9.00pm Wednesday nights with the Xanadu Wine Bar on GOMA's Restaurant Terrace open from 3.00pm for premium wines and bar food. Fridays 28 July – 1 September (5.30pm – 10.00pm), an intergalactic Up Late returns. Explore the exhibition after hours and enjoy a stellar line up of live music from Art vs Science, Black Cab, Habits, Olympia, Models and NO ZU. Each Up Late is a separate ticketed event. Read more and buy tickets. Join one of our volunteer guides for a 30-40 minute highlights tour. Exhibition ticket required, meet your guide inside the exhibition entrance. 11.00am and 1.00pm Monday 29 May - Sunday 3 September. 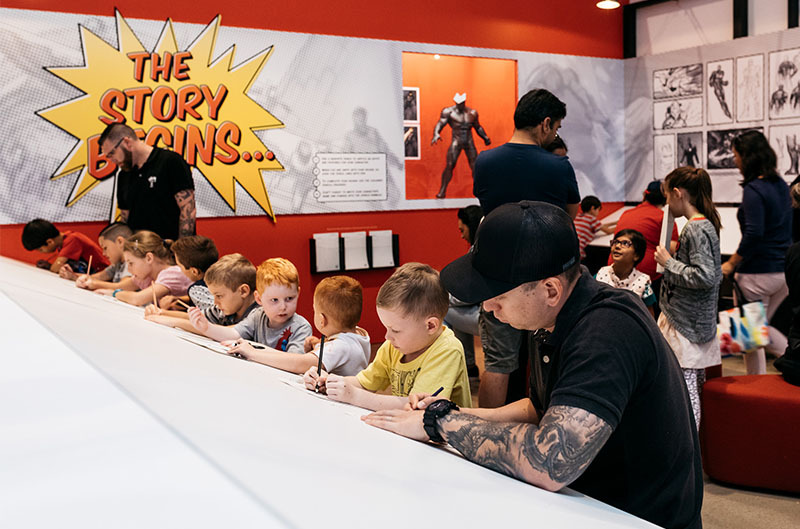 The dedicated exhibition shop offers an extensive selection of Marvel comics, publications, collectibles, accessories and an exclusive range of exhibition merchandise. The exhibition is accompanied by a full-colour 240 page publication featuring essays by exhibition curator Amanda Slack-Smith, Associate Curator, Australian Cinémathèque, QAGOMA; Glen Weldon from National Public Radio's Pop Culture Happy Hour; and Roxane Gay, editor, novelist and writer of Marvel Comics' Black Panther: World of Wakanda (2016-); with an introduction by Thor: Ragnarok director Taika Waititi. 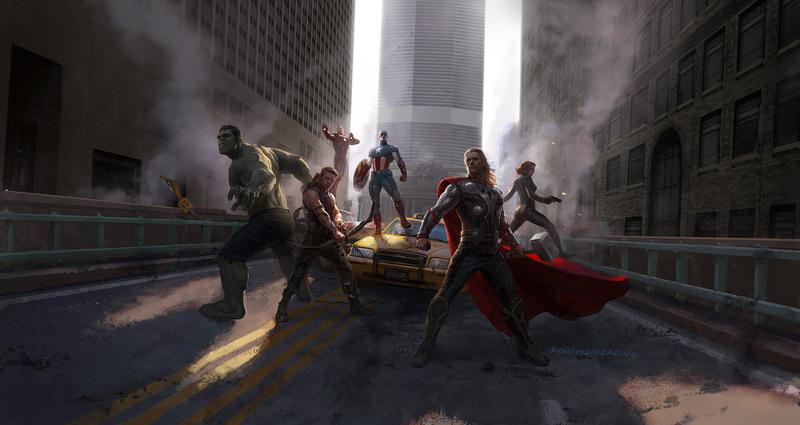 The softcover version features cover art by Marvel Studios Head of Visual Development Ryan Meinerding, and the hardcover art is a newly commissioned piece by Marvel Studios Visual Development Supervisor Andy Park, inspired by Thor: Ragnarok. 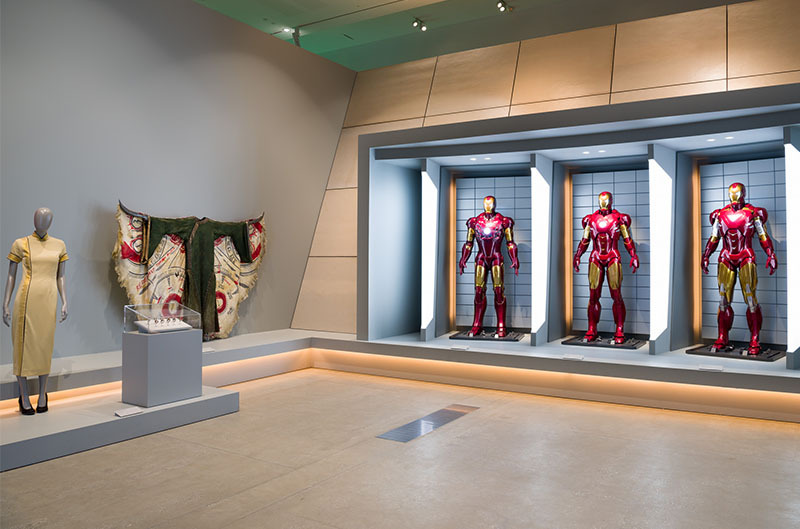 Thinking of wearing your Marvel costume to the exhibition? Costumes and cosplay are welcome, however leave any masks and props at home. Certain accessories may not be permitted into the exhibition for the safety of the works, per the Gallery's usual Conditions of Entry. Installation view of 'Marvel: Creating the Cinematic Universe', GOMA 2017. 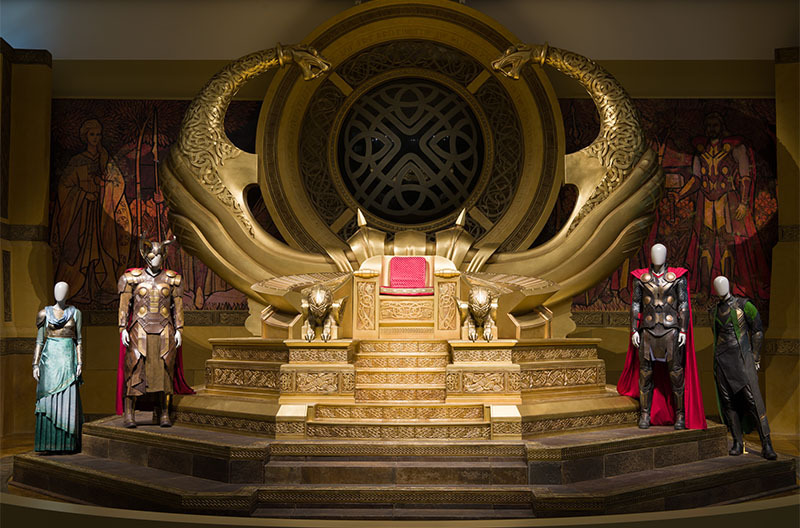 Installation view of the majestic Asgardian throne room from the upcoming Marvel film Thor: Ragnarok 2017, 'Marvel: Creating the Cinematic Universe', GOMA 2017. Purchase tickets in advance online or at the GOMA exhibition ticket desk during the exhibition period. Tickets available onsite between 10.00am and 4.00pm daily, and until 8.00pm Wednesday. Up Late tickets available onsite from 5.30pm on day of event. Season Pass: Unlimited entry during the exhibition period. 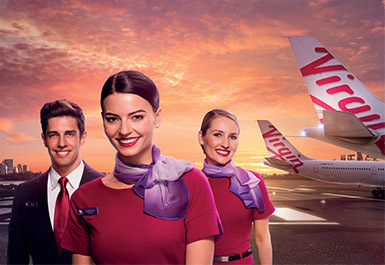 *Valid pensioner, seniors or full-time student card required. Concession applies to: State and regional Gallery Guides - Association of Australian Gallery Guiding Organisations (AAGGO); Full Time Australian Tertiary and TAFE Students; Full Time International Tertiary and TAFE Students with ISIC card and individual institution cards; Secondary Students aged 13 and over; Queensland Government Seniors Card Holders Card Holders – Department of Human Services/Commonwealth Seniors Health Card /Health Care Card; Department of Veteran Affairs/Repatriation Health Card (Gold and White); Foster Carer/Department of Families Card Holders; National Association of the Visual Arts Members (NAVA); Museums Australia Membership Card. 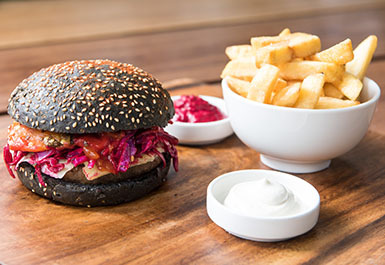 ^Valid QAGOMA Member or Foundation Card required. 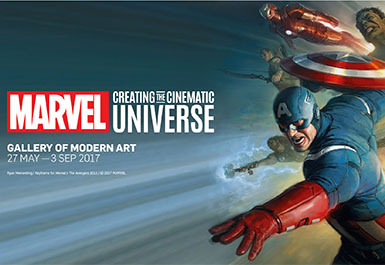 'Marvel: Creating the Cinematic Universe' is organised by the Queensland Art Gallery | Gallery of Modern Art in collaboration with Marvel Entertainment.